I’m honored to be featured today on The Wellness Universe with my blog! 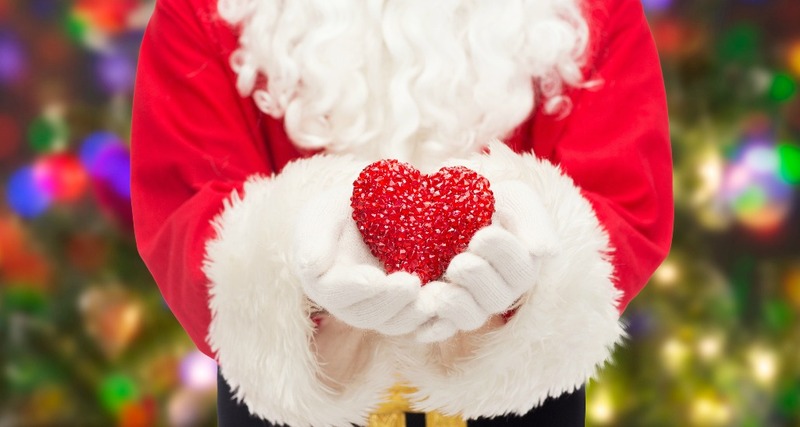 “We need to deeply understand and accept ourselves to obtain true Self Love and to experience True Love with others. Please click the link below to read the rest! We are ALL Peace, Love & Joy. 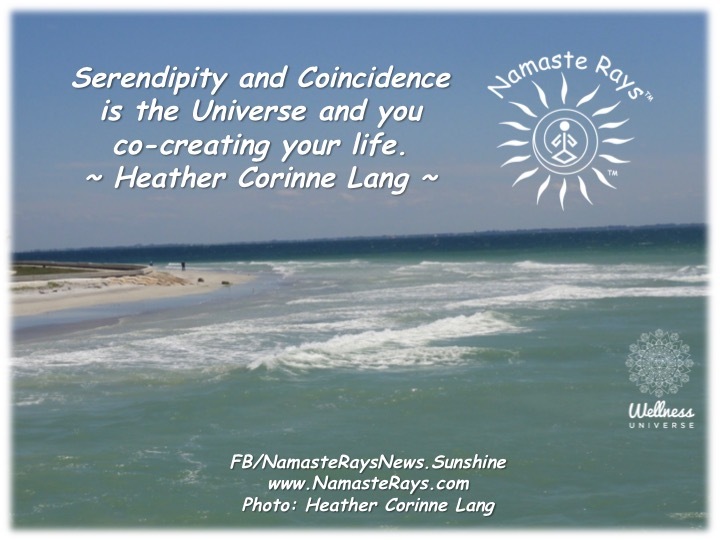 Hello Namaste Rays News-Worthy Readers! Image: courtesy of The Wellness Universe. Emotional reactions provide a starting point where healing can begin. 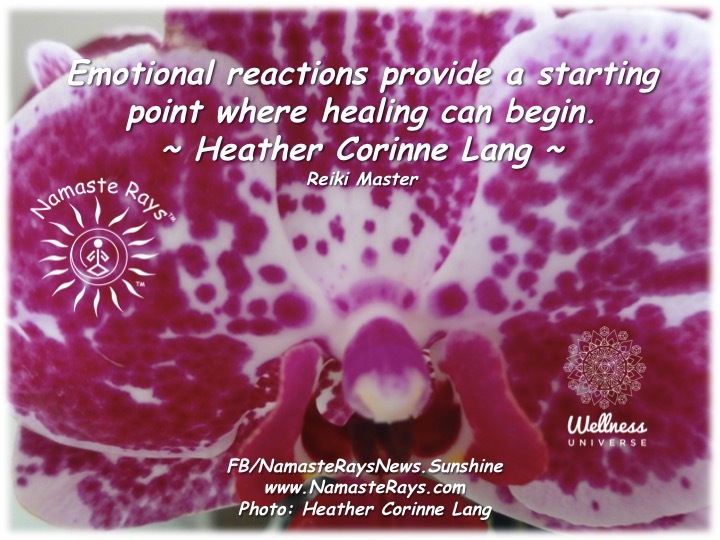 Our emotional reactions are a key area to investigate to start the healing process. Oftentimes, when we have powerful emotional reactions to someone or something, it can be linked back to some type of trauma we experienced or an issue within us which we need to understand, release and heal. Emotional reactions can take the form of being defensive which can also lead us into knowing what we need to heal within ourselves. For instance, if we become upset if someone isn’t listening to us, it may be that we don’t feel as if anyone has ever listened to us, or that we don’t appear to be important to them. However, we can examine ourselves as to why we are having this reaction. This allows us to start determining the root cause of our own issue. We may ask ourselves “Have we done this to others, so we feel guilty?” Or perhaps we grew up with others telling us we didn’t know what we were talking about, so we didn’t feel important, and perhaps still feel that way. Or something else entirely. I know I was told growing up by certain people, I didn’t know what I was talking about. I know now, what I said was due to my intuitive abilities picking up on how others felt and speaking it. They weren’t ready to reveal it to me, let alone, reveal it to themselves and thus told me I didn’t know anything. When I realized this later in life, it truly explained quite a bit to me about myself and my intuition. When we recognize the issue, we can then work through it, going within to fully understand and release it. This is where healing begins. Healing continues as we run into similar situations and recognize our emotional reactions as our own issues more quickly to then release the emotion and keep healing. Another emotional learning experience for me was that I would become upset when others didn’t show up at the designated time, or I would end up waiting on someone for some reason. It was always very irritating to me and at times I would become defensive if someone else pointed it out to me. I finally realized it was because I didn’t feel others were respecting my feelings and my time. I was always being overly flexible for others, who weren’t being that way for me. Or at least it didn’t appear to be that way, as what we see and perceive can be two totally different things. Our perceptions of our lives within our experiences become our beliefs which create our reality (see my blog “Beliefs Create Reality” for more information). My experience was most people were late. My perception was because they didn’t respect my time and feelings, which created my reality that I was always flexible with others and they weren’t with me. When I started to really dig deep into why I felt this way, I realized I wasn’t being flexible enough with myself. My issue was that I needed to learn how to be more flexible with my own time and feelings. I needed to spend more time doing things and helping myself. I actually love helping and guiding others in any way I can yet, I finally accepted that I needed to help and guide myself more, and thus released the perception I carried, and healed from past hurts that others weren’t respecting my time and feelings. This actually helps me be able to help & guide others more meaningfully and in proper timing. This was a layer, and other layers in different forms have also appeared, allowing me to learn more about myself, release more old issues and heal. When we react defensively, someone is hitting a wound within us, creating an emotional reaction. It is drawing something to our attention which we do not like about ourselves. Sometimes we react defensively when we feel we aren’t being taken seriously or maybe we aren’t being appreciated because we think our feelings aren’t being considered. Before acting defensively, we can take the time to think about it, since we do not have to react immediately or at all. We can consider what the other person is saying and take the time to learn from it. We can even ask the other person questions such as why they said it or did what they did. This can provide us additional information into our own issues, as well as, into the other person’s life. The other person may be projecting onto us, being defensive towards us or even blaming us for something which is their own internal issue to heal. Similar energies attract similar energies, therefore, at times and if willing, both parties can learn, heal & grow from emotional reactions. If you would like guidance in helping to heal yourself, I would love to help you. Reiki Energy sessions are a wonderful way to uncover, understand, accept, release and heal. One on one sessions can be very meditative, helpful and healing, whether face to face or via distant healing. Contact me if you would like more information.